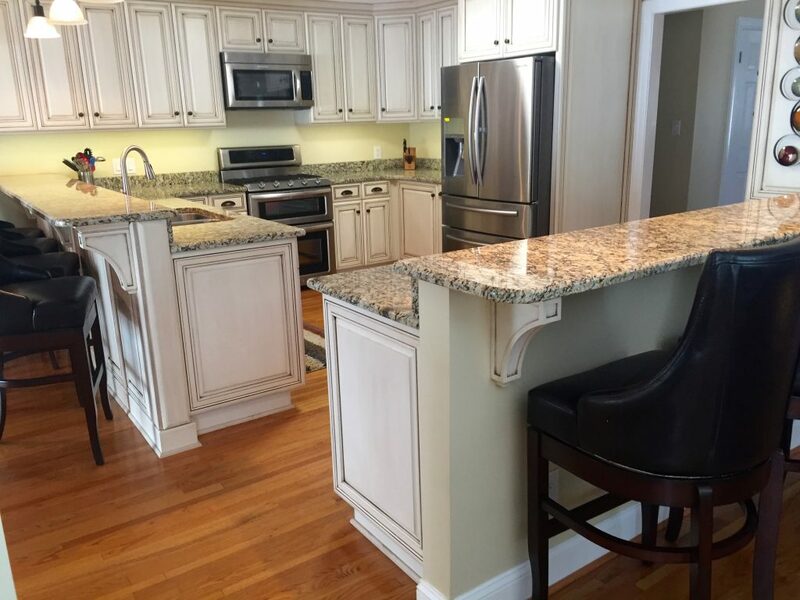 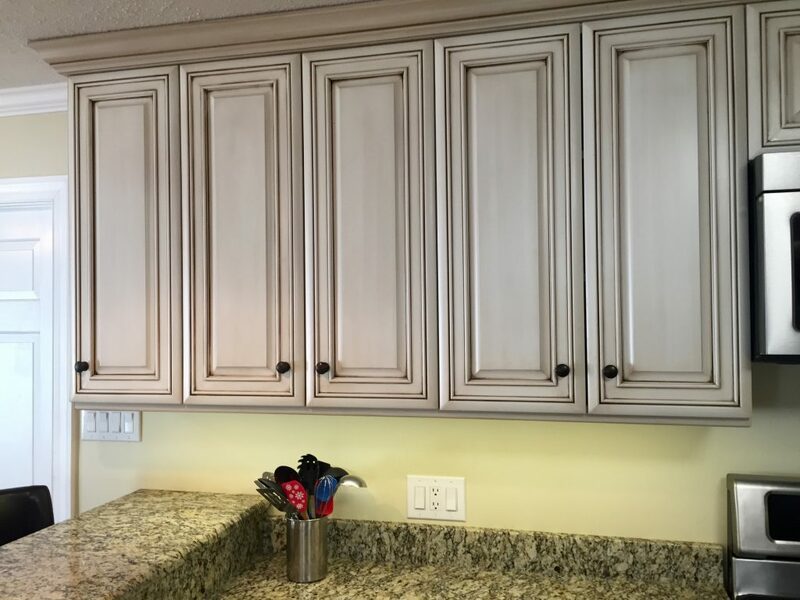 Capps created a custom color finish for this kitchen with a multiple-step process especially for these homeowners. 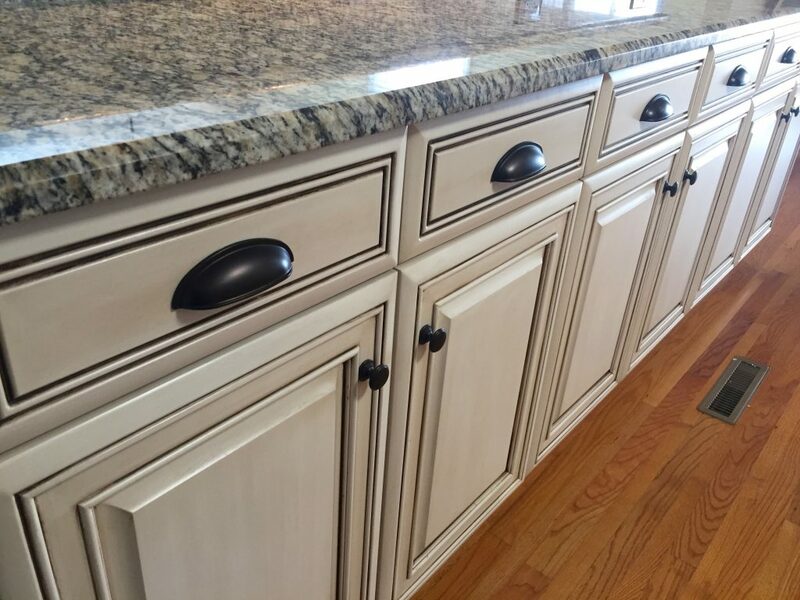 The finish highlights the detailing of raised trim of the doors, drawer fronts, and cornices. 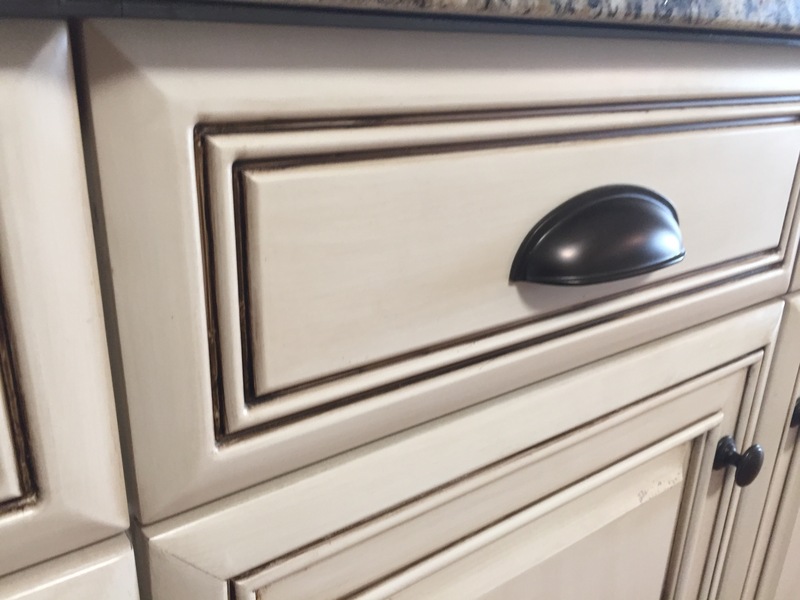 The cabinets are painted, then given a special treatment, with this unique hand-crafted result. 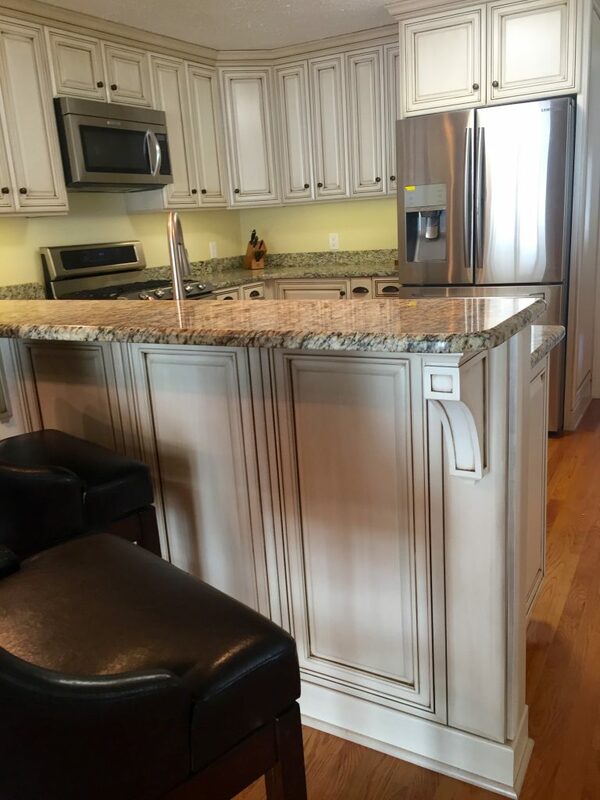 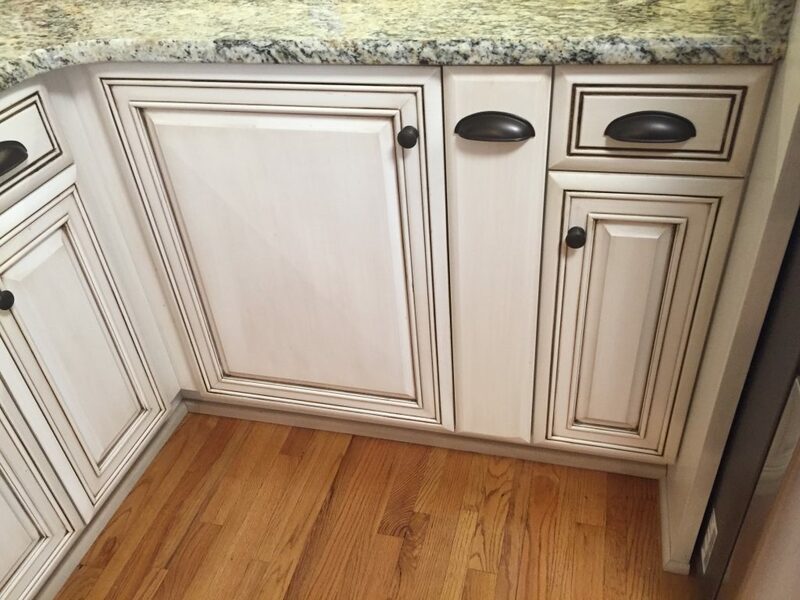 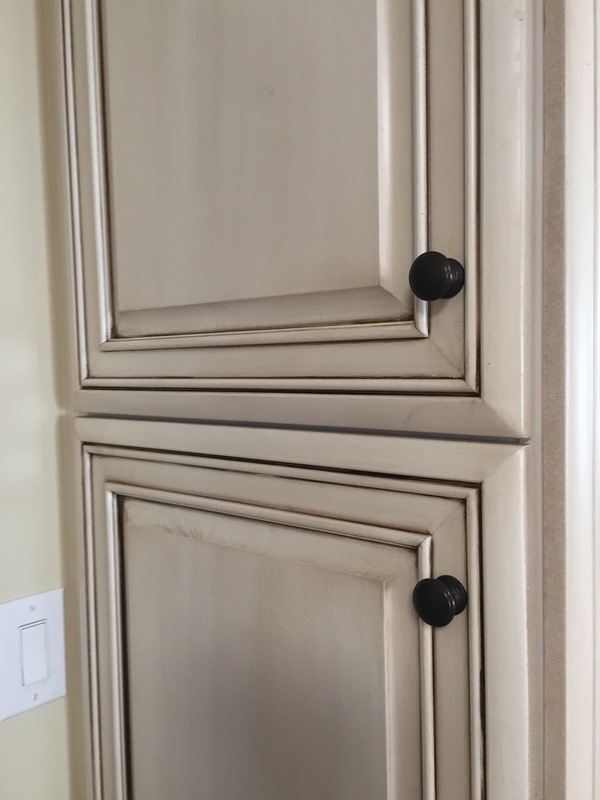 Capps Custom Woodworks can create a cabinet finishes with many variations, coordinating with granite surfaces. This kitchen installation has raised-panel cabinet ends and special pull-out shelving. 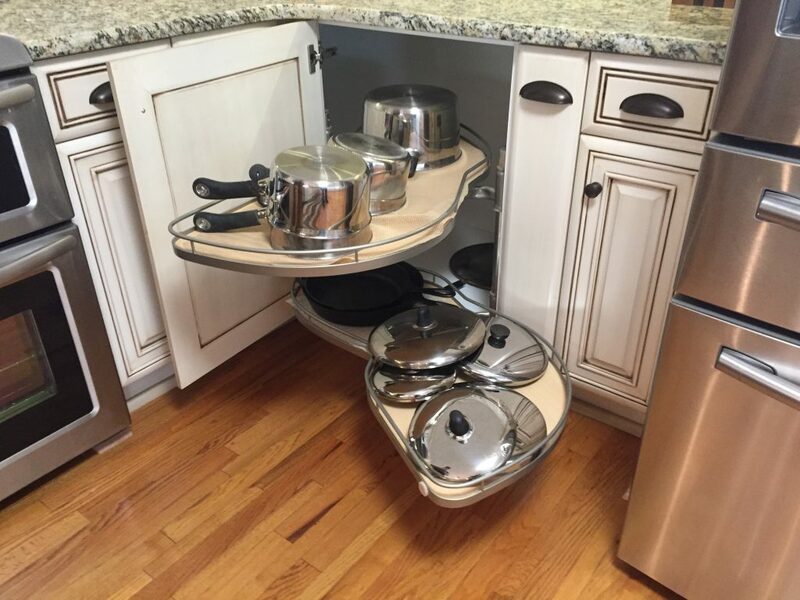 Shelves for pots and pans, set in the corner near the stove, glide out for easy access and utilize the corner cabinet space completely. 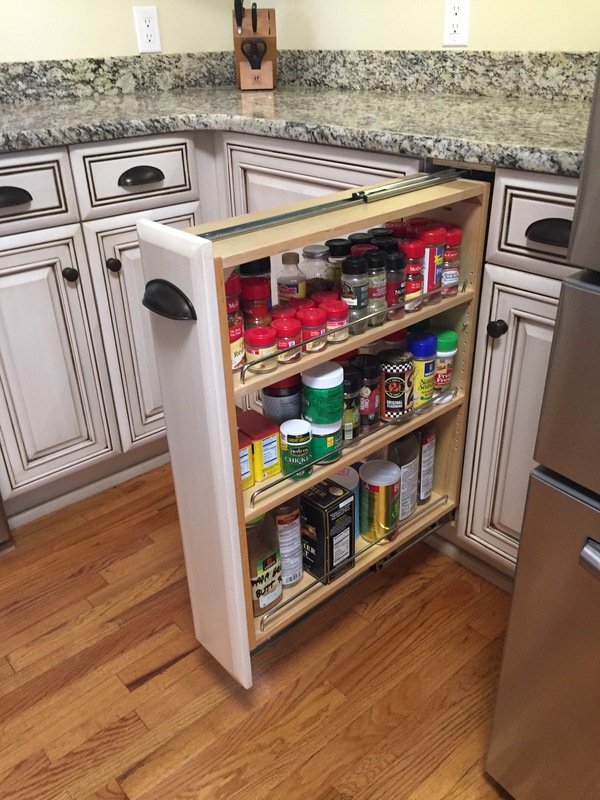 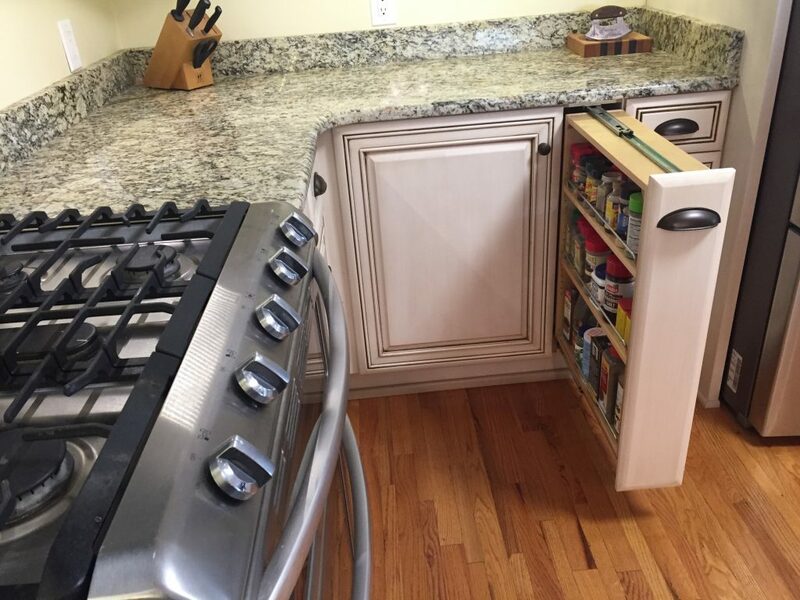 Beside it, the pull-out spice rack is also convenient to the stove and all contents are visible and accessible. 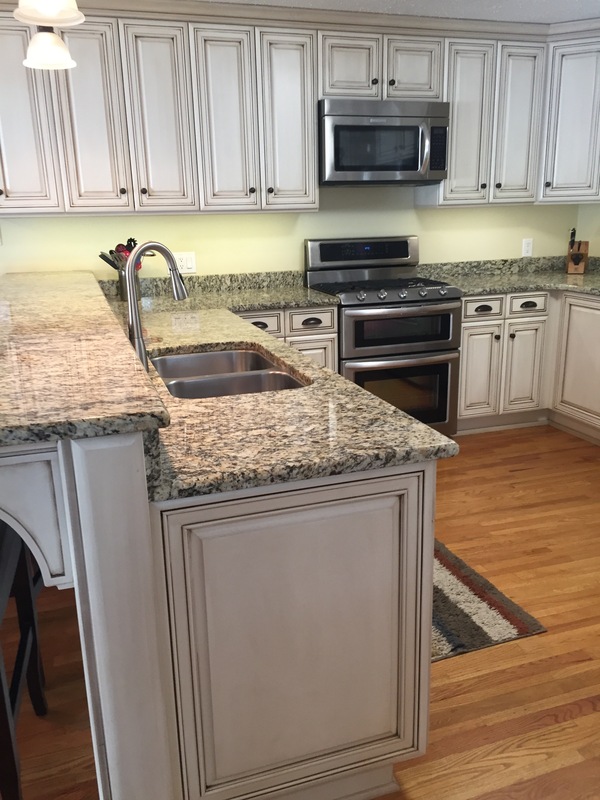 Take a look around the kitchen in our gallery below.